*I was gifted these items in exchange for this post, all thoughts and opinions are my own. I was around 12 or 13 when FRIENDS first aired on TV. My older sister and I would have a great laugh watching it every Friday night on Channel 4. It became a tradition. FRIENDS is still one of my favourite shows today. I have the boxset! On maternity leave with my first, I think I watched nearly every single episodes. Like most fans, I have my favourite FRIEND, quote and episode! 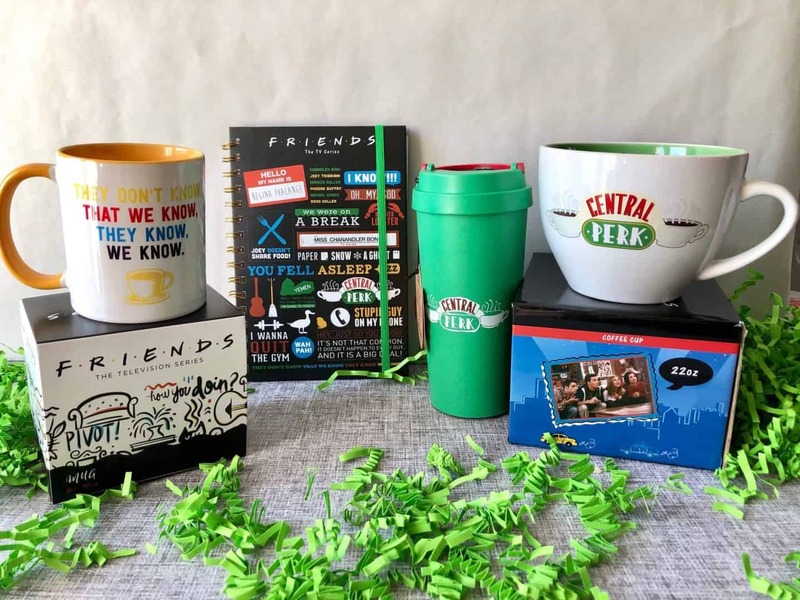 Before I show you the best gifts for the ultimate FRIENDS lover here are some of my favourite FRIENDS bits. 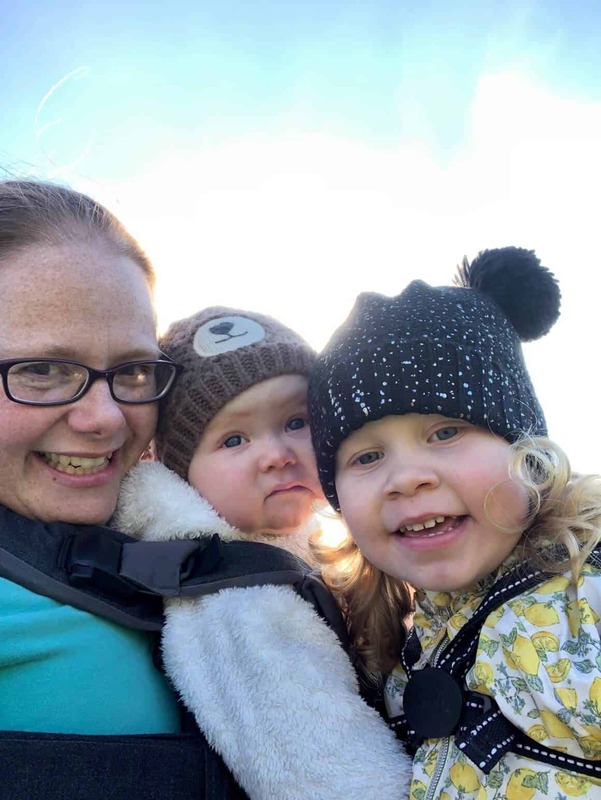 Far too many to choose from, but I think the earlier episodes are the best, like The one with the baby on the bus, The one with the flashback, not forgetting all the Thanksgiving episodes! I do like one of the later episodes, season ten’s – The one with Ross’s spray tan. Ross is a fantastic character. I’m torn between Rachel and Monica for the girls. I’ve always loved Rachel because she is my name twin and shes just “Rachel”! But I’m more of a Monica. For the boys it’s Ross. Hehe, I just remembered The one with Russ!! Ross is lovable in his own unique way. 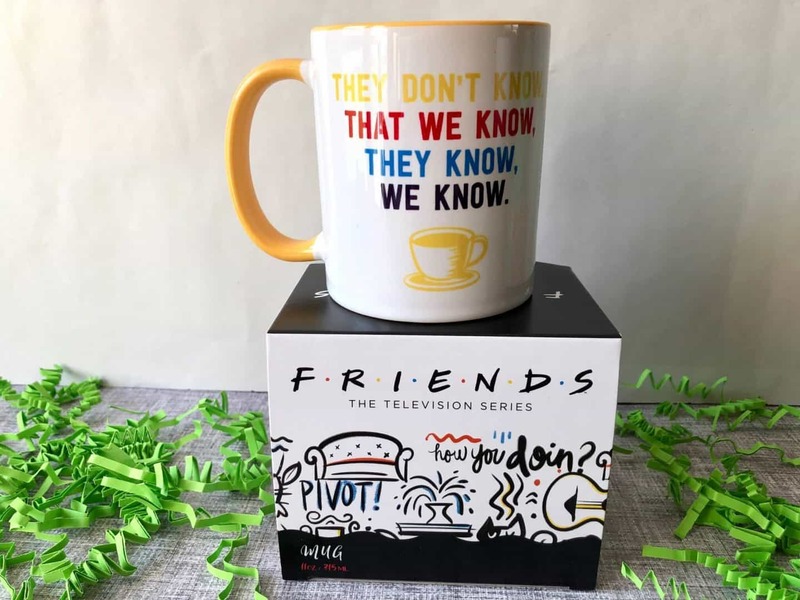 I was kindly gifted a few of the FRIENDS merchandise items from Pyramid Shop in exchange for this post and a Twitter party I took part in a week ago. 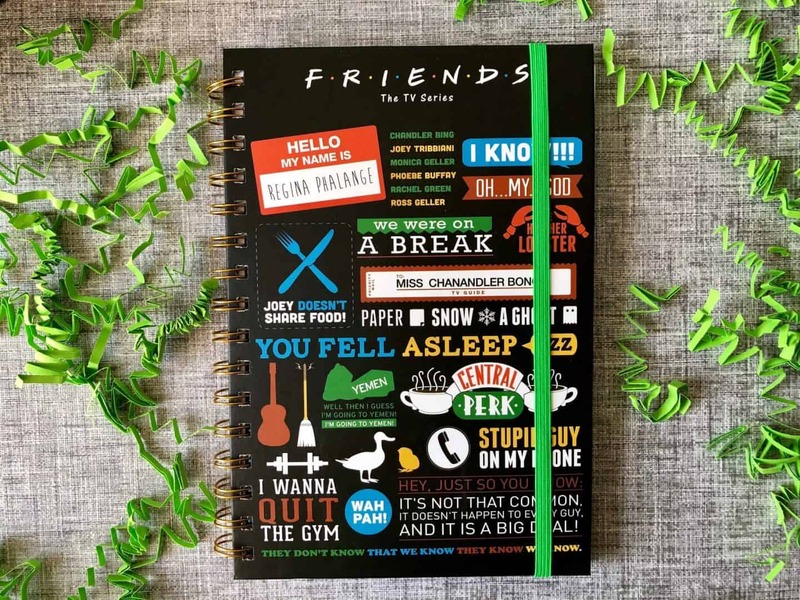 First up is this fab notebook, with all the best quotes from the show! 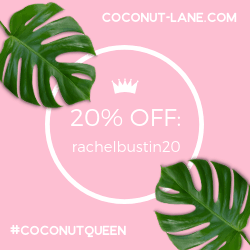 If you are a stationery lover this is perfect! 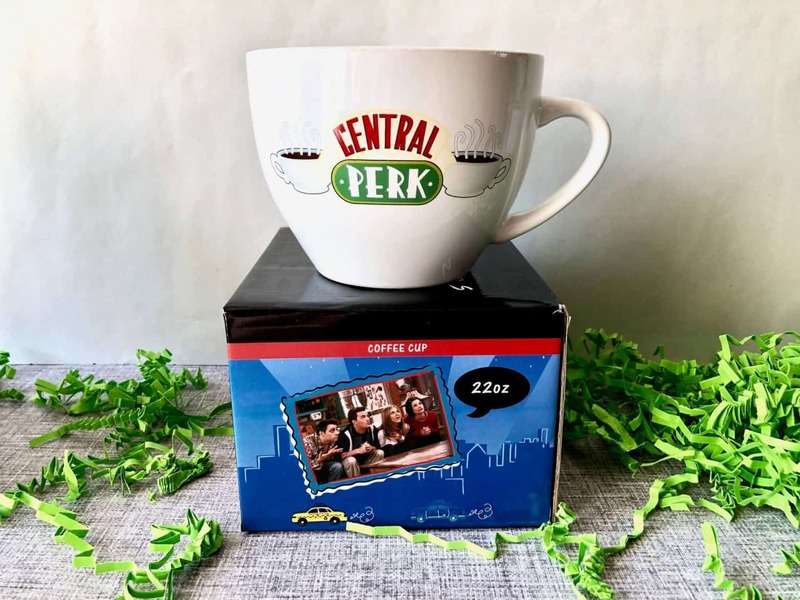 A mug is always a fab little gift, you can sit down and watch FRIENDS with a cup of coffee! This quote is typical FRIENDS! I’m very much into my eco-friendly travel cups and mugs. This one is a large one with of course the most famous coffee shop in the world on it! Central Perk. A well known location in FRIENDS. It’s double walled and made from rice husk. It contains no melamine and is BPA free. The ideal coffee cup. This 22 oz large coffee cup is my favourite item. Its been well used already! Are you a FRIENDS fan? What is your favourite episode? Thanks for stopping by today, I hope you’ve enjoyed my little guide to FRIENDS. If you enjoyed this post, you may like my entertainment section. 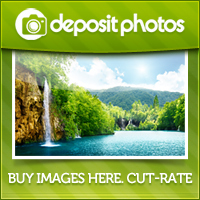 *Prices correct as of April 2019, check PyramidShop.com for further info. Great gifts. My daughter is a huge Friends fan. I’m a Friends fan too. I went (on my own because none of my friends were available/would come) to Friendsfest a couple of years ago, then discovered afterwards that my brother was a fan and would have come. I’ve just finished watching the whole set of series on C5, was sad o finish them. 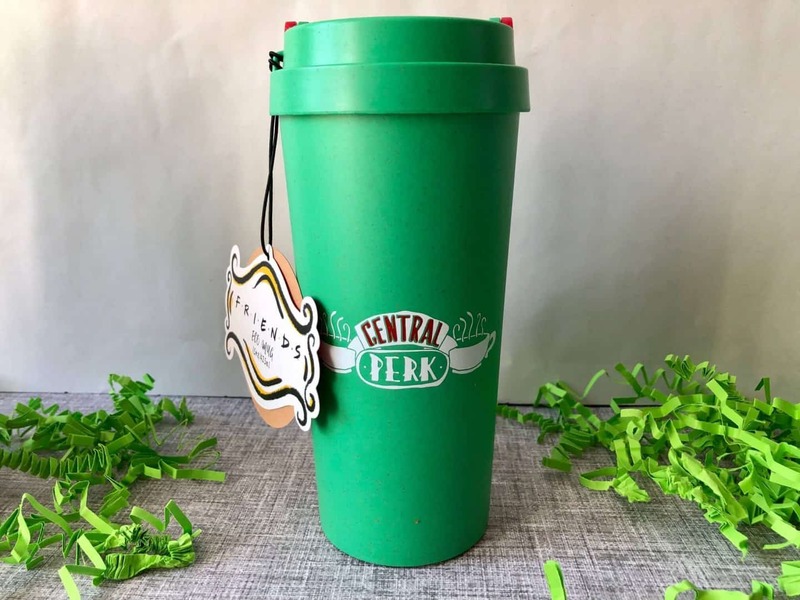 Love the central perk mug!